Personal branding is a hot topic in today’s business world, but great confusion revolves around what personal branding is and what is the best way to implement it in a marketing program. Building a strong personal brand is an integral part to achieving one’s career goals, but there are a few myths that need to be debunked before one will succeed. Personal branding is not all about you but about how you can serve others, resulting in an increase in your own visibility and influence. The greater your influence is, the more success you will have in promoting your own personal brand. Each success you have with promoting your personal brand revolves around others endorsing you, which requires you to pay close attention to the needs of others and surround yourself with influential colleagues and customers. This is where most entrepreneurs fail to deliver. Understanding that your business needs to advertise how others can benefit from your goods and services, more so than the rest of the competition, is essential in order to achieve a successful brand. Every business holds a value proposition or professional reputation, which gives them a personal brand. You need to conduct in-depth market research, determine your own personal brand and market an image that coincides with your marketing goals. You cannot opt out of having a personal brand, but you need to choose to have one that is powerful enough to be influential in the marketplace. It is important that you uphold your reputation with how you conduct your business in order for your brand to grow and prosper. Over the course of your career, your personal brand will change, highlighting the different elements and attributes of your unique value proposition. For instance, if you are a software developer who is known for being an inspirational leader and exceptional team player, you can market your leadership skills over your coding experience to earn a promotion in the company. Many view personal branding as a means to obtaining a new job or career path, but your personal brand is instrumental in influencing and impacting your career. Personal branding revolves around your personal and professional life, following you to every job and providing you with the necessary means to obtain a promotion or strengthen your job security. 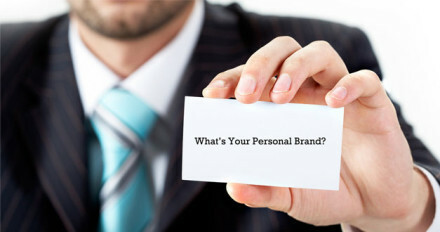 Personal branding can influence your audience, making your boss or co-workers view you in a new light. If you keep your personal brand stagnant and monotonous, you will experience greater difficulty achieving your career goals. This doesn’t mean you shouldn’t keep your brand messaging consistent, you just need to constantly improve on it. Continually changing and improving your personal brand can help you emphasize on the quality of your work and inspire your boss to promote you or boost your job security.